Strong winds persist after a substantial amount of rain at the end of last week. This east coast low is now travelling south to Tasmania, causing havoc in its wake. We escaped relatively unscathed, but if it had been slower moving it would have been a different story. Predictions are now for a wet, and mild winter in SE Qld. Daytime temperature s now in the low twenties while nights are in the low teens. Plants growth is slowing to winter rates. Over the colder months our approach is to maintain plant quality. Most of our propagation for next season has finished and plants now grow on, ever so steadily, to be ready in the spring. 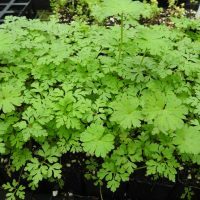 New plants into stock include Ashitaba. Borage seed has germinated well and there will be plenty of plants for the early spring. A note on Indian Borage. We receive a lot of enquiry for this plant, which we call Mother of Herbs. Looking particularly good in the shade house are Evening Primrose, Herb Robert, St Marys Thistle, Mother of Herbs. Still sowing some species that require cold soil to germinate, such as Celandine, Astragalus, Alkanet and Chervil. 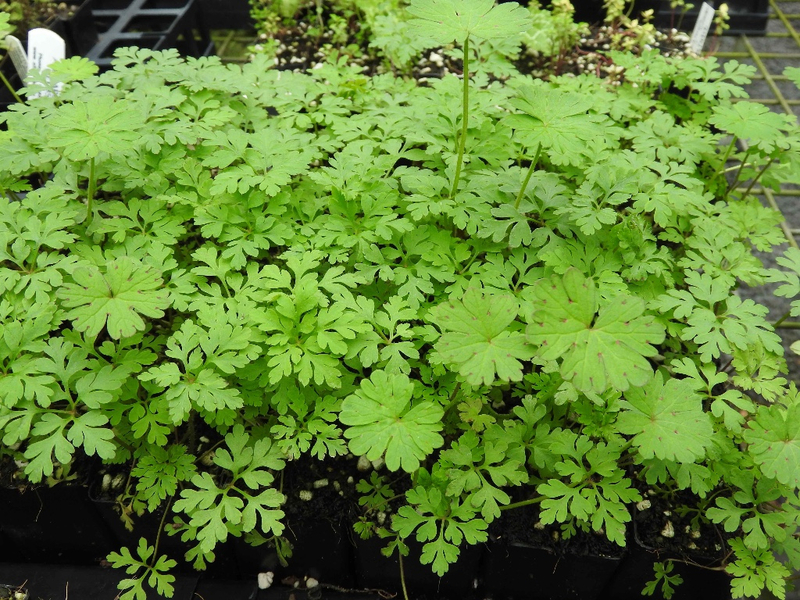 Sweet Cicely seed has finished the cold moist stratification and will be sown this week. Seed collected this week includes Holy Basil, Tulsi, Balloon Flower and Radium Weed. Toward the end of the month is a stock take for the end of financial year. This is also a good opportunity to assess our seed requirement for the next season and refresh some lines.